happy fourth of july weekend! i hope that everyone has a great long weekend and that you take time to celebrate with friends + family + good drink + good food. i'm somewhat back on a sweets binge and made up my first batch of cranberry + pistachio quinoa crisps last weekend - they turned out pretty tasty. i made so many that i've got a bunch stored in the freezer. 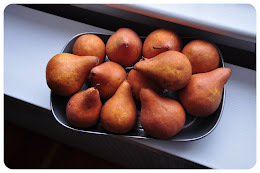 considering what they are - they are really good when eaten cold. no matter how you pronounce it (i go with KEEN-wah some others pronounce it KIN-oh-ah) - quinoa is ultra healthy. it contains two times more protein than rice and also boasts all 9 essential amino acids - making it a 'complete protein'. quinoa is actually a seed to a plant related to spinach, it isnt actually a grain. try out these power packed sweet crisps - they'd be perfect to serve up at any 4th celebration (or anywhere else at anytime for that matter). preheat oven to 350. rinse quinoa well. on stove top bring 3 cups of water to a boil in a saucepan. add rinsed quinoa, stir, then cover. reduce to simmer and cook until most of the water is absorbed around 12-13 minutes. the quinoa will not be cooked thoroughly. remove from stove top. 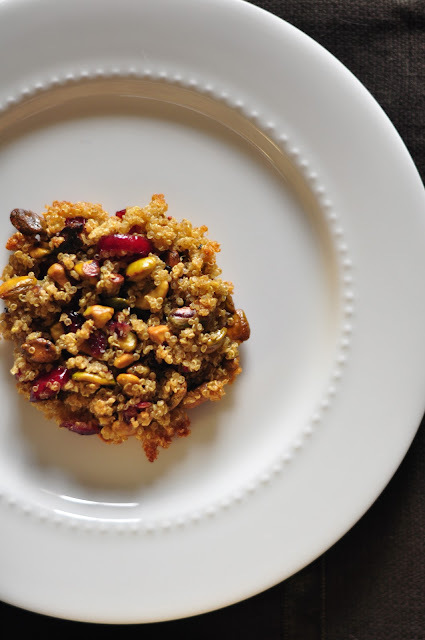 pour quinoa out onto a baking sheet and spread evenly - place in oven and fluff with a fork every few minutes for around 30-35 minutes, or until quinoa has become golden in color. remove from oven and pour quinoa into a bowl - let cool. reduce oven temp to 275.
once quinoa is cooled stir sugar, salt, pistachios and dried cranberries into the bowl with it. in a separate bowl whisk together, honey, vanilla, canola oil and egg mixture - then pour over the quinoa mixture and stir combine. line a large baking sheet with parchment paper and lightly coat with cooking spray. spoon 1/4 cup portions onto the baking sheet - leaving at least 3 inches between each 'crisp'. pat down each crisp so that they are not more than 1/4 inch in thickness. place into oven and bake 25 minutes, rotating half way through. before you get to grilling and drinking stop by these great blogs and get inspired! Ask your loved ones on the off chance that they can enable you to out before you take out a payday advance. Payday obligation can wind up costing you a considerable measure of cash, so just utilize them if all else fails. The advancement and accretion action of the database appliance is advised to be actual capital in preventing the accident of abstracts for any assembly system. As the admeasurement of the appliance database database backup increases, it becomes actual difficult to complete the abounding advancement action aural the time anatomy for appointed backups set by Account Level Agreement (SLA).